Do you need to create and implement a Data Breach Response and Notification Procedure to become compliant with the GDPR Directive? 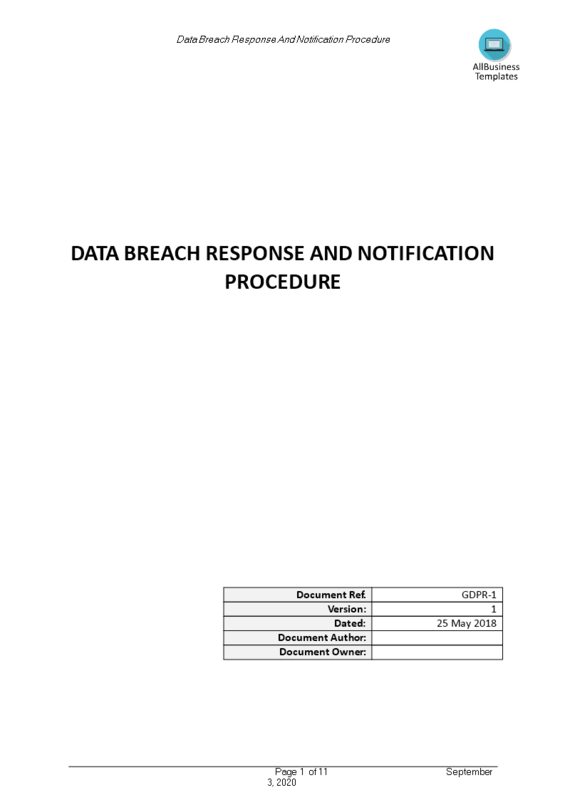 Download this GDPR Data Breach Response Notification Procedure template now! This procedure is part of Personal data breach management and formulates a Data Breach Response And Notification Procedure for data protection and data security. You can customize this document to meet the needs of your Organization, and save or print it as required. This procedure is intended to be used when informing and maintaining a strict policy on devices brought and/or owned by your staff. Download this Data Breach Response Notification Procedure now or check out our fit-for-purpose GDPR Complete Compliance Kit templates here! The document(s) will be available to download immediately after purchase.